Newspapers have been talking about is since yesterday: Netflix will be launched in Belgium at the end of 2013, just after France and the Netherlands. 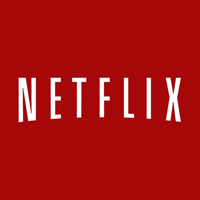 For those who don’t know yet the concept, Netflix is a video-on-demand service that offers thousands of TV shows and movies to its subscribers, for only 8 dollars per month. Movies and TV shows lovers can salivate! More news on the blog soon! Stay online! ← How can Chinese gamers access international VPN servers to play online in 2013?